There are a lot of things I absolutely love about where I live. Canada is vast and beautiful, and I love the marriage of the ocean and snow-capped mountains in Vancouver. I grit my teeth through the very high cost of living because it's home, and it's beautiful, and there's no where else I'd want to be. But for our abundance of cool scenery, fresh air, and Ketchup chips, we're sure lacking in the flavoured Coca Cola category. Cherry Coke is next to impossible to find here, and don't even get me started on Vanilla. So when the man and I took a mini roadtrip down to Seattle (post to come! 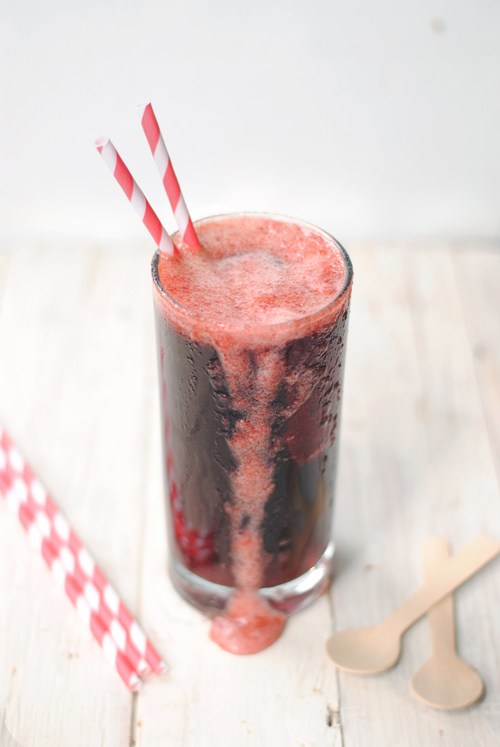 ), I came home totally inspired to make my own summer version of Cherry Coke. This sweet treat features a sorbet made one of the most iconic summer fruits -- cherries -- and a hint of a lime. 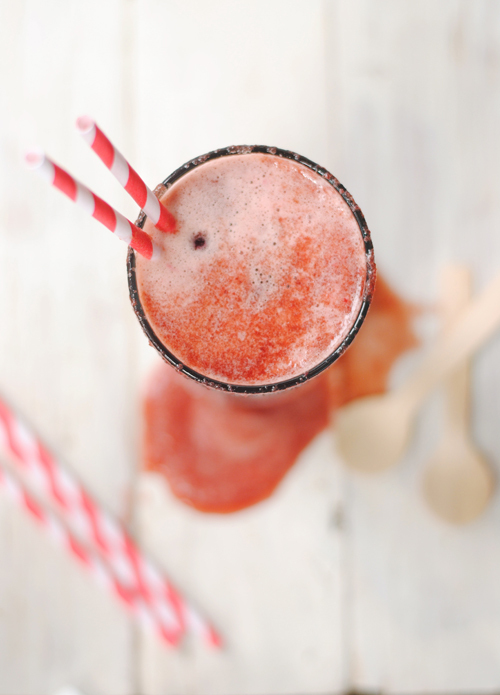 When scooped into a tall glass of ice-cold Coca Cola (or Pepsi, no judging) a fun twist on cherry coke is born. And loved. And devoured. Want a sneak peak at what I'm making? Follow me on Instagram! Pour the Coca Cola into tall glasses, preferably chilled, with 1-2 inches of space at the top. Scoop a large serving of sorbet into the glass, and enjoy immediately. Chill your ice cream maker for at least 24 hours, or however long it needs to get things cold. I keep mine in the freezer so I’m always ready for sporadic ice cream making. Combine all the ingredients in a medium pot, and bring to a simmer over medium heat, stirring occasionally and cooking until the cherries are tender. Remove from the heat, and allow to cool, then let it chill out (in the fridge) until it’s sorbet time. 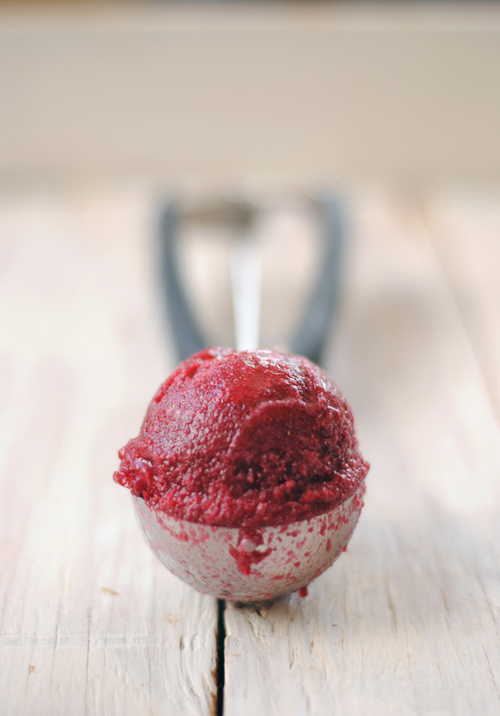 When your ice cream maker is cool and ready to go, puree the cherry mixture in a blender or with an immersion blender. Whatever will get it nice and smooth. Then freeze it according to your ice cream maker’s directions!